The development of contemporary music in the Scandinavia is unique, and especially it is important and impact the development of accordion. The tradition of the Danish Royal Academy of Music, established the profession by Mogens Ellegaard, the father of modern accordion, has inherited the essence of working closely with contemporary composers. In this field, the Nordic contemporary composer has composed a number of repertoire which is leading the high quality of the accordion original works, many of which are elected for the authority of the International Accordion Competition test pieces and concerto final repertoire selection, and all this has played the role of a milestone for the development of higher standard for accordion. Hanzhi Wang graduated from the Central Conservatory of Music, and was selected into the conservatory's “Best of Best” project. 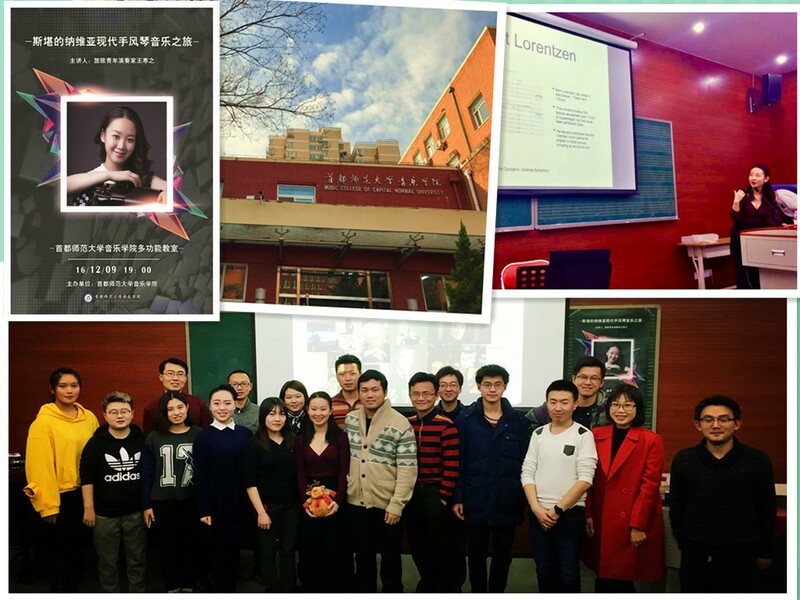 She has won a number of top national and international accordion competition, commended by the Chinese Ministry of Culture, and she is the first Chinese government scholarship student of the special artistic talent training project for accordionist, Danish Royal Academy of Music Soloist and USA Manhattan School of Music Visiting Scholar. 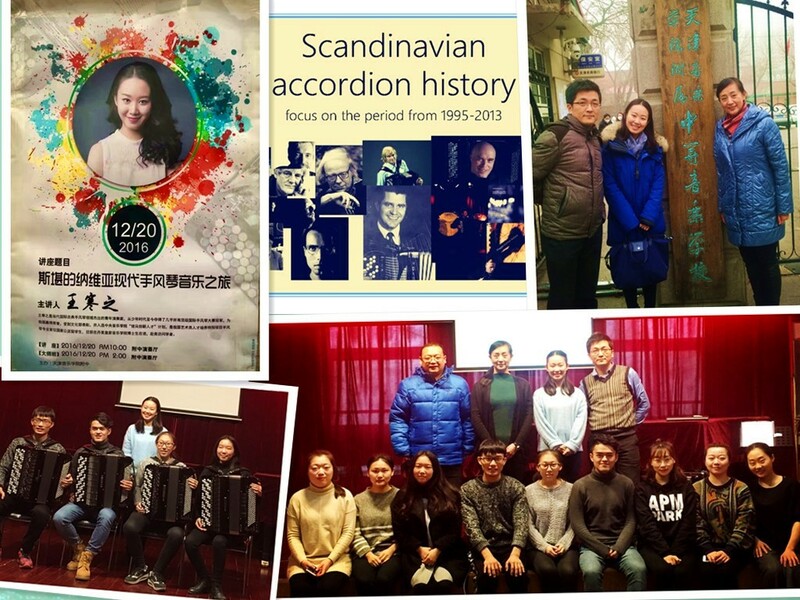 In her lectures, Hanzhi Wang introduced the music education and training system in Denmark and the accordion education system of the Royal Danish Academy of Music. She introduced the music styles and 16 contemporary composers of Denmark, Sweden and Norway, along with their influential works in the profession. In the master classes, Hanzhi Wang was teaching and made demonstrations for the students, and played the piece dedicated to Hanzhi Wang by the contemporary composer Martin Lohse. Both lectures and masterclasses was succeed.